We asked members of the Verne Visitors group to share their thoughts and experiences on visiting people at the Verne. We were interested to hear what led them to start visiting, what they discovered when they started visiting, what they thought the hardest part of visiting was, and to describe their experiences a little. I started visiting in January this year. I had heard about the Verne becoming an IRC (Immigration Removal Centre), and I had some friends who expressed an opinion that locking people up for administrative purpose was not a thing that a civilised society should do. So I thought I could find out about what was going on, and give some help to people. 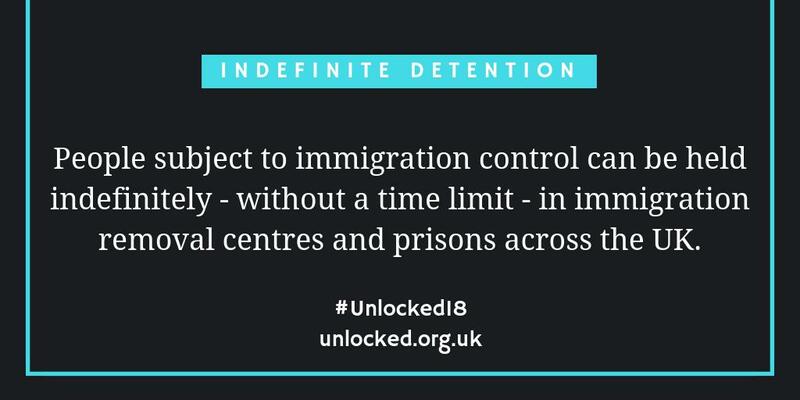 I really had no experience of this sort of thing, so it came as a shock to find out the effect that indefinite detention can have on people. The first chap I visited was educated and articulate, and had been active in his community in London. But the time he was detained broke his spirit (not permanently I hope). He became distressed and frustrated, to the extent of talking about ending it all. We had interesting chats, as we had some common interests, but my overall feeling was of frustration that I was not able to give him much practical help, despite spending time communicating with various agencies in an attempt to help him get bail. I learnt such a lot about his home country and the persecution he faced there, and I really got to understand his fear of being returned. He would ask, and be interested, in what I did over the weekend, family outings, places I’d visited – but I was always so aware that he was stuck where he was. 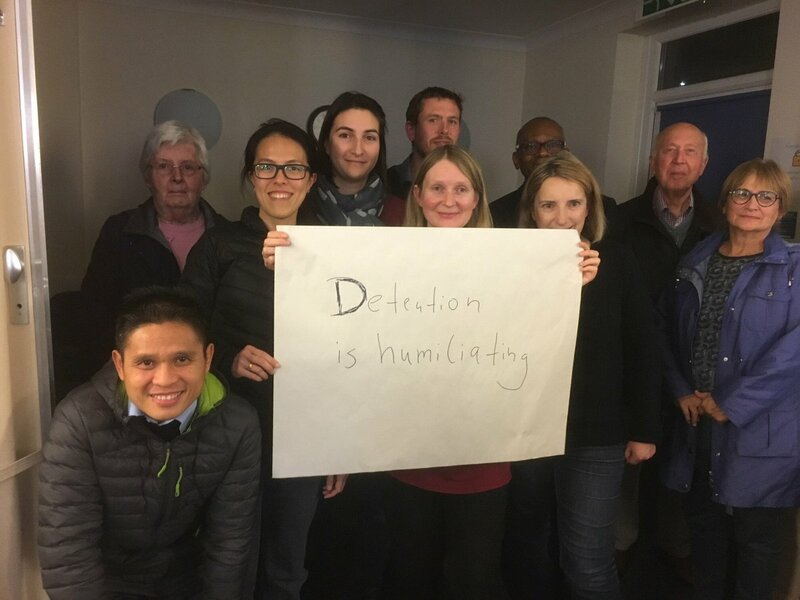 The different people I have visited each have their own story, and have reacted to detention differently, but they share a sense of injustice. I have learnt from them. I started visiting because of the increasing unjust treatment of refugees. I discovered that no two cases are alike, and that the laws regarding asylum are very complicated. It’s difficult waiting upstairs for the detainee to arrive. The visiting room is quite pleasant and spacious, with comfortable chairs and activities for children. There is no clock and, as sometimes you have to hand over your watch, it is difficult to time the visit. I wonder – as it happens so often – why some detainees do not turn up. I have always felt concerned about immigration rights in this country and when we moved to Weymouth recently and realised the prison we could see on Portland from our kitchen window had become an IRC, I couldn’t ignore it and had to get involved, especially as my dad was from Portland and had brought me up to work for equal rights and justice for all. I tracked down the visitor’s group and asked what they needed to help the detainees and they got back to me with a training date for potential visitors. It is a total privilege to be allowed into the trust of a person detained and despite the terrible situation, feels like something precious. It is pointless to look for logic in the Home Office’s decisions. Detainees have very few rights and most people have no idea of the ridiculous and inhumane things they have to go through. 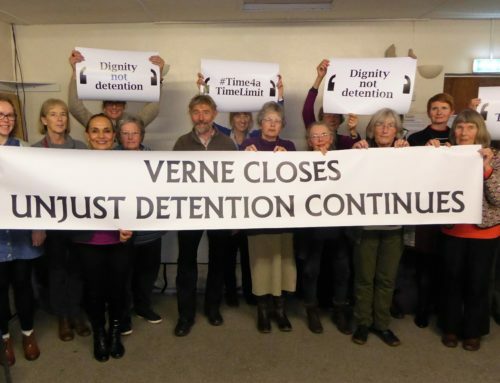 Staff at the detention centre (Verne) appear to be doing their best in very difficult circumstances (hugely understaffed, no holidays, no proper breaks, no cultural training or languages, violence and mental health problems in detainees) and often, the left hand often doesn’t seem to know what the right hand is doing. Staff are often equally frustrated and baffled by Home Office decisions. The hardest part? Feeling helpless to enable a detainee out soon or reassure them this will happen. Having to listen to someone feeling desperate or helpless. Not being able to make things less complicated and frustrating for them. Waiting around while various officers try to work out where your detainee is/because the doors are broken/because the family in front of you is visiting for the first time with many bags and different officers are giving them conflicting orders/ because the officer forgot to ring for your detainee etc etc etc. The visiting room is a large, light prison visiting room with bright multi-coloured soft comfy chairs, some paintings, a colourful childrens’ play area with toys, books and soft play on one side. There are separate cubicles used for solicitor’s meetings with detainees and a big desk for several guards with computer/phones etc, plus two other stations for guards. Overhead cameras filming everything. A toilet for men only (women and children/babies have to be let out through two locked sets of doors as toilet is downstairs). There is a kitchen which appears to be off limits for anyone except the officers, although there is supposed to be a detainee whose job it is to offer tea/coffee (not in my experience). Visitors have to buy drinks and snacks from three vending machines for themselves/families/the detainee they are visiting. Food and drink cannot be brought in from outside. If you stand in one corner, you can just see the sea! (Detainees generally cannot see outside the IRC grounds from their rooms but it is nearly surrounded by the sea). This work is also very rewarding. When a detainee gets released/gets bail (even if you or he doesn’t understand why all of a sudden), it’s amazing. 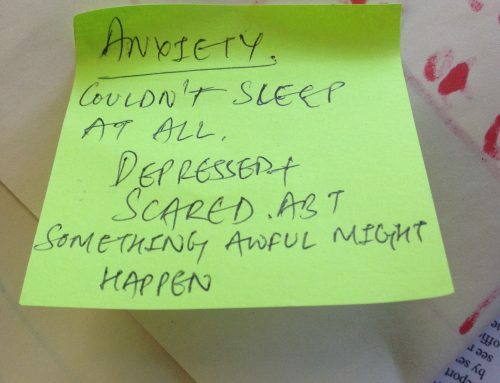 Although, sometimes, speaking to them once they’re out, it’s hard to hear how badly their mental health has been affected. Other times you get really happy endings which is lovely and detainees and ex-detainees are generally so grateful for any help, it’s very moving. Sometimes it’s very hard to empathise with a detainee’s opinions/ethics/strongly held religious beliefs that seem to conflict with mine but I’m not there to argue. If I have a good, trusting, longer visiting relationship with them, I will banter and discuss their takes on different cultural mores. It’s certainly an education! 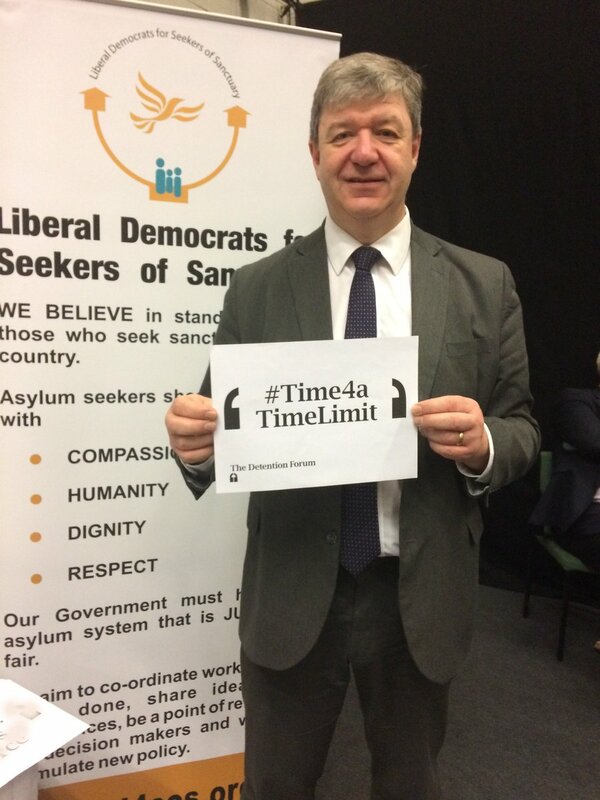 I wanted to visit people detained in the Verne because I felt it important that people in detention have some support in the community. I think the Verne is well run and the officers seem well trained and supportive, although I think the lack of a set time limit for the inmates is so frustrating for them that they cause problems for everyone. The hardest thing is knowing that I can walk out into the open air and my detainee has to go back inside. The visiting room is spacious, sunny and well furnished with colourful, comfortable chairs and pictures and children’s play equipment. It is a pleasure to spend time in. The hardest time was when my detainee texted me to say that the man in the closest cell to him had killed himself in the night. Also I had to ask that somebody be put on suicide watch on my second visit. I believe he was well looked after. What led me to start visiting:? I have always been sympathetic to the plight of refugees and/or economic migrants in any case (all four of my grandparents came into this category). 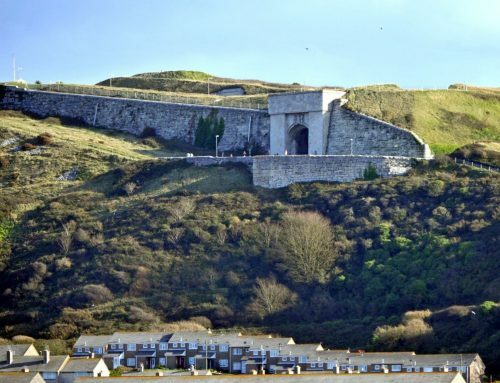 I had in my early life been a prison teacher ( including at the Verne) so I had an idea what kind of environment the detainees were being held in and what that felt like if you had committed a crime, let alone if you hadn’t. The things I discovered when I started visiting, that I perhaps hadn’t expected before, were how inefficient the whole system was. I expected it to be inhumane (which it is) and that the staff locally would struggle but on the whole do their best. I didn’t expect the system to be so chaotic and so hopelessly inefficient. The hardest part of the visiting is the difficulty of offering hope to the detainee. One of them asked me about his rights and I had to explain to him that under our law he could be detained indefinitely. I think the “indefinitely” is the hardest part for them, as there appears to be no end in sight to the uncertainty. The visiting room is large, I have never visited when it has been crowded, there is plenty of space for visitors and detainees to sit around brightly coloured and reasonably comfortable (new) armchairs. There are attractive pictures on the wall and there is a large children’s area with plenty of toys and books. There are two vending machines in the corner as you go in. These are a pain, they break down frequently or are not restocked, they do not give change and they are quite expensive as it is. Occasionally they have an orderly on duty in the little kitchen who can make cups of tea or coffee free of charge but he is not there very often and the detainees I have visited prefer Coke in any case.